Early in his five-year mission commanding the U.S.S. 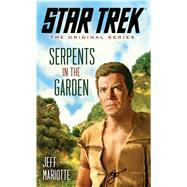 Enterprise, Captain James T. Kirk found himself caught up in a grow­ing conflict on the planet Neural. To maintain the balance of power against a force being armed by the Klingons, he provided weapons to his new friends, the Hill People. Years later, Admiral Kirk learns that the Klingon presence on Neu­ral has grown considerably, and in possible violation of the Treaty of Organia. Did his impulse as a young captain turn out disastrously wrong? Could he have done more to eliminate the Klingon threat? To find out, Kirk must embark on a secret mission back to Neural—where he might just be the only person who can prevent an interstellar war. . . .